Detail the anatomy and physiology of skin. Differentiate between acute and chronic wounds. Describe the etiology, risk factors, appearance, and treatment modalities for venous, arterial, diabetic and pressure wounds. Discuss the various available dressings and their appropriate use. 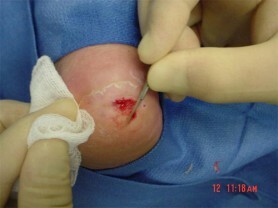 Perform a basic wound assessment.